Feeling hungry for a little horror? Matchbox Films releases Cannibal on 26th September! Husk is a chilling-feature from the After Dark Originals brand, coming to DVD & Blu-ray 21 March after screening at the After Dark Original: Horrorfest Weekend March 4th-6th. 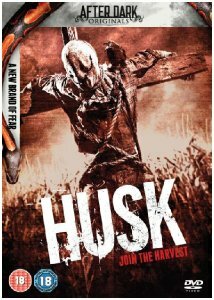 Starring Wes Chatham (W.) and C.J Thomason (Harper's Island), and directed by Brett Simmons who has adapted the film from his own 2005 short, Husk is a gruesome tale and a real throwback to true 1960s creepiness. 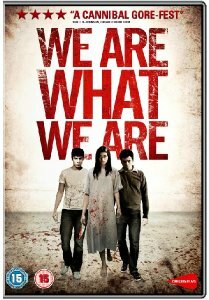 Following its major theatrical release, shocking, bloody and deeply moving WE ARE WHAT WE ARE is a remarkable reinvention of the horror genre - a visceral and powerfully emotional portrait of a family bound by a terrible secret and driven by monstrous appetites. RUNNING TIME 90 mins approx. "If you loved SAW or HOSTEL, Prepare for an unforgettable Horror with a stunning Final twist"
What follows is a brutal account of what happened to these to survivors. Told in an unconventional narrative structure, The Unforgiving tosses and turns between points of views and character perceptions as the film builds to its terrifying climax. Crossing all moral boundaries, the film will leave the audience questioning what they would do to survive if their lives were in the hands of one of the most grotesque serial killers imaginable.